If you are planning a visit to an indoor water park or a hotel with a water park, you've come to the right place. The regularly updated listings that follow provide the most comprehensive online guide to indoor water parks (and a couple of outdoor parks as well) in the United States and Canada. One note: Very small water parks and most municipal water parks are not included. It used to be that if folks in North America who lived anywhere outside of Florida or other warm-weather states wanted to ride down a waterslide in February, they had a couple of options: Wait until June, or book a flight to Florida (or some warm-weather location outside North America). That's no longer true. Indoor water parks now offer a low-cost alternative to expensive tropical vacations in the winter. And because they are weatherproof, they provide a surefire way to have water park fun any time of the year. The concept began in earnest in 1994 when a Wisconsin Dells hotelier thought that if he erected an outdoor water park attraction around his indoor pool, he might be able to get a little more business in the early spring and late fall. When hordes of guests showed up and kept showing up straight through the winter, he knew that he was onto something. The idea caught on and exploded in the Dells and elsewhere around Wisconsin, expanded into the Midwest, and eventually spread throughout the United States and into Canada. Here are some articles and info that may help you as you plan your vacation or visit to an indoor water park. There are lots of parks and more opening all the time. Find out which ones offer the biggest splash for your cash. Lots of water parks claim to be the biggest, but which ones deserve the title? This guide tries to sort it all out. With locations throughout North America, Great Wolf is the biggest chain of water park hotels. It's always balmy and looks like the Florida Keys inside CoCo Key resorts, even when the weather outside is dreadful. What follows is a comprehensive list of water parks and resorts with water parks, listed alphabetically by US state. Although there are some stand-alone indoor water parks, most are connected to hotels, and some restrict park admission to hotel guests only. Click on a park below to learn about its policy and to get more information. For water parks in Canada, scroll down to the bottom of the page. Alaska's only indoor water park is open year-round, even when it's a frigid -30℉ outside. Unlike other CoCo Key locations, the Florida CoCo Key features an outdoor water park, instead of a climate-controlled indoor park. There are several water parks in Illinois—too many to list them all here. Check out the online directory dedicated to Illinois indoor water parks for all the up-to-date information you'll need. There are several water parks in Massachusetts— too many to list them all here. Check out the onine directory dedicated to Massachusetts indoor water parks for all the up-to-date information you'll need. There are several water parks in Michigan— too many to list them all here. 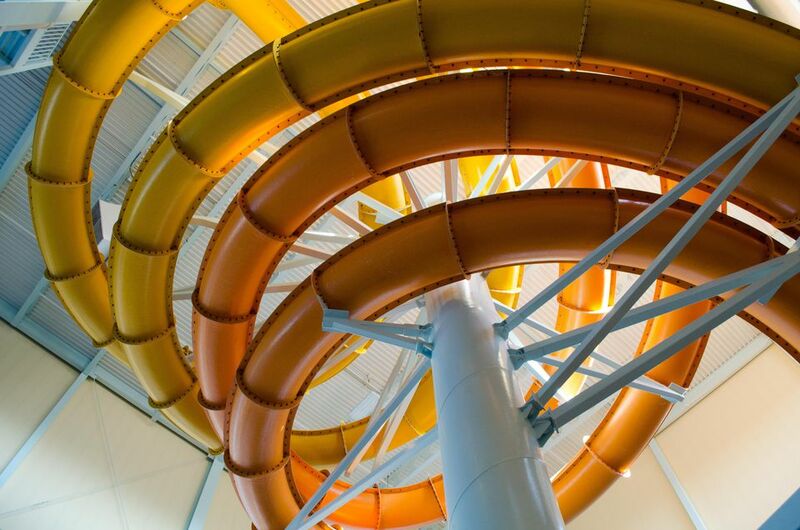 Check out the online directory dedicated to Michigan indoor water parks for all the up-to-date information you'll need. There are several water parks in Minnesota— too many to list them all here. Check out the online directory dedicated to indoor water parks in Minnesota for all the up-to-date information you'll need. There are several water parks in Ohio— too many to list them all here. Check out the online directory dedicated to Ohio indoor water parks for all the up-to-date information you'll need. There are several water parks in Pennsylvania— too many to list them all here. Check out the online directory dedicated to Pennsylvania indoor water parks for all the up-to-date information you'll need. There are so many indoor water parks in the Wisconsin Dells and throughout the state that Wisconsin has its own online directory to Wisconsin indoor water parks. Where Are Great Wolf Lodge Indoor Water Park Resorts?